(Feb. 2016) Scientist of the University of Oldenburg (Germany) present their lessons learned using openADR communication to manage battery charging. In the BESIC project marketing of battery flexibility and charging of electric vehicles used for logistics in the Harbour of Hamburg (HHLA) is managed by means of the openADR protocol. cyberGRID’s technology was chosen by Vattenfall to establish the communication and aggregate flexibilities in this project, which represents one of the first openADR applications in Europe. 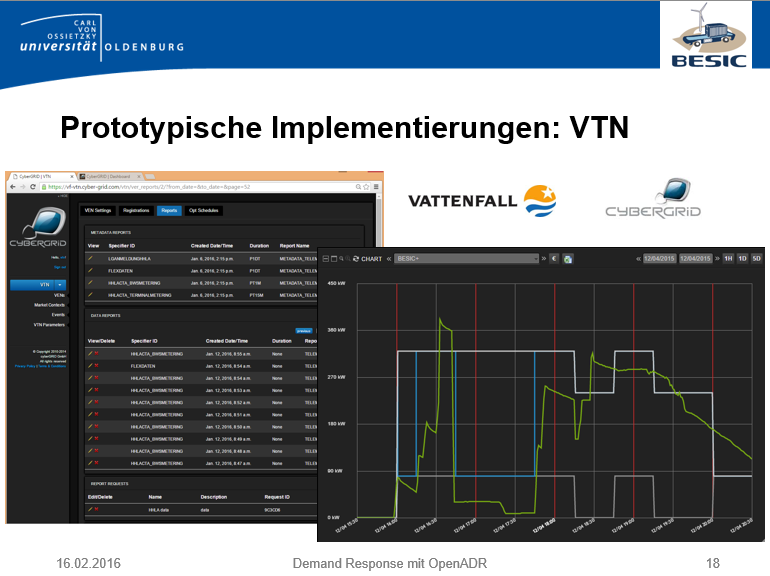 The openADR v2.0b specifications proofed to be able to provide all communication requirements for scheduling, marketing and activation of flexibilities in the German power market.